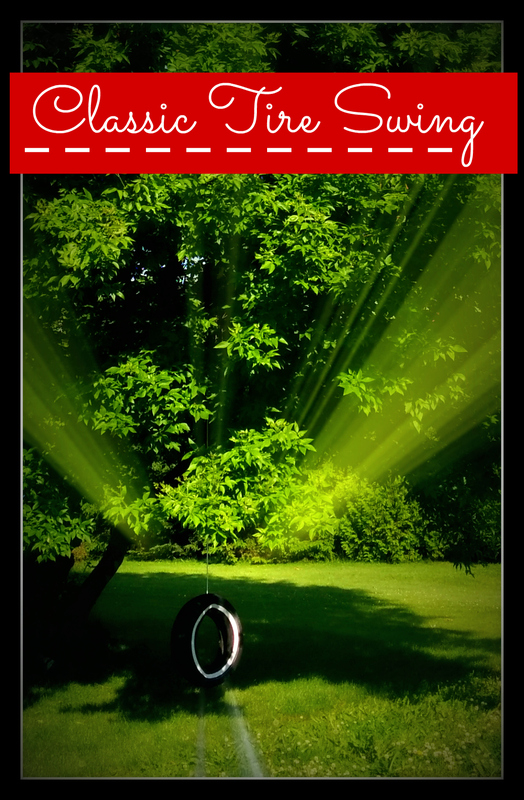 Ah, the Classic Tire Swing! It was actually my brilliant neighbour that came up with this totally nostalgic idea…. So credit to my good friend Courtenay of The Creek Line House for this one! 🙂 Step #1: Find an old Tire! 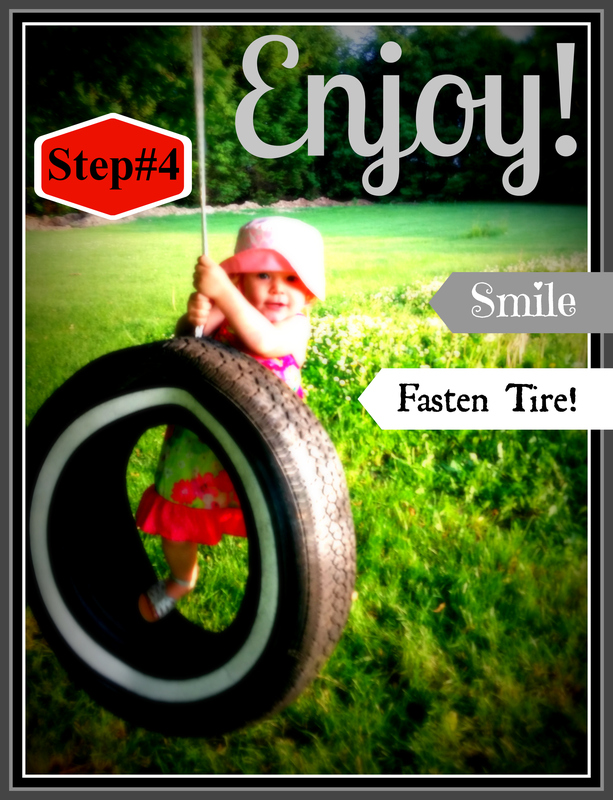 Finding the perfect tire is probably a little easier than you actually think! Tires are one of those things that are hard to dispose of, so people will often give away old tires for free… Yes — FREE!!! One place to always check are the classified ads, such as Kijiji… And the second place to check is with farmers! Farmers often go through a higher rate of tires than the average household and they will probably have a much larger selection of different sizes and types to choose from! 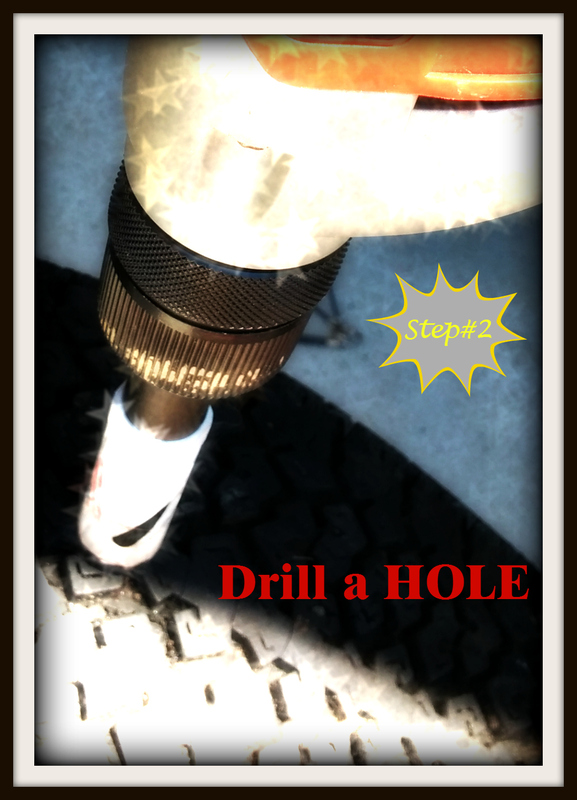 The best way to drill the perfect hole into the tire is by using a Hole Saw, (aka: Hole Cutter)! The hole saw is centered onto a drill bit which will create a stationary point, while the teeth of the hole saw gently saw through, preventing large chunks from breaking of. Slow and gentle is the best way to use this tool! 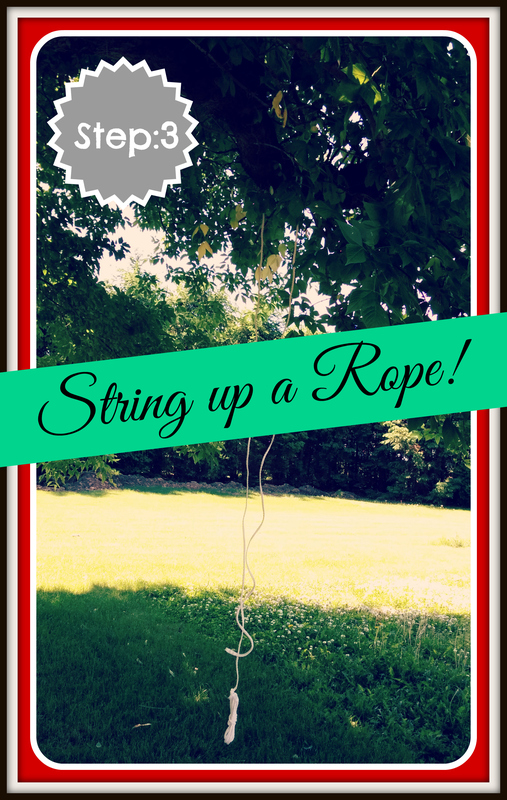 Step #3: String up a Rope! Fasten your tire by pushing the rope through the hole and then tying a giant knot — sooooo simple, right?! Then ENJOY!!!! !